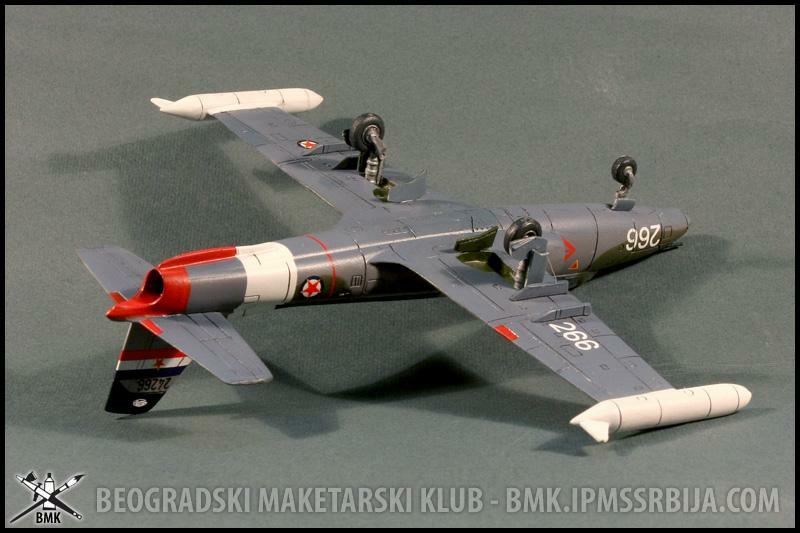 The Soko J-21 Jastreb is a Yugoslav turbojet attack aircraft, designed by the Aeronautical Technical Institute (ATI), (Serbian: Vojnotehnički Institut Beograd (VTI)), in Belgrade and manufactured by SOKO. Derived from the G-2 Galeb advanced jet trainer and light attack aircraft, it was designed in single-seat ground-attack and two-seat advanced flying / weapon training versions. Kit is from Lift Here pack, resin is produced by Serbian Aircast, and is definetely one of the best resin kits I have ever seen. Flawless surface, no air bubbles, perfect fit, this kit is a pure pleasure to build. I just spruced up cockpit a bit, and added landing light in the nose, the rest is OOB. Painted with Gunze acrylics. For me, a new aircraft type, and kit manufacturer. Build features as you say look clean. My only concern is that panel lines scaled-up 1:1 woud be a hand’s width. At a glance, and without knowing its history, I’d thought it a recent Airfix offering, so pretty impressed with both the subject and build. Does Lift Here only specialise in Yugoslav subjects? Cheers, Igor. Will check out their site. Once again, nice build! Like it! Not a type i’m familiar with looks a wee bit like a Hawher Hunter without the swept wing. 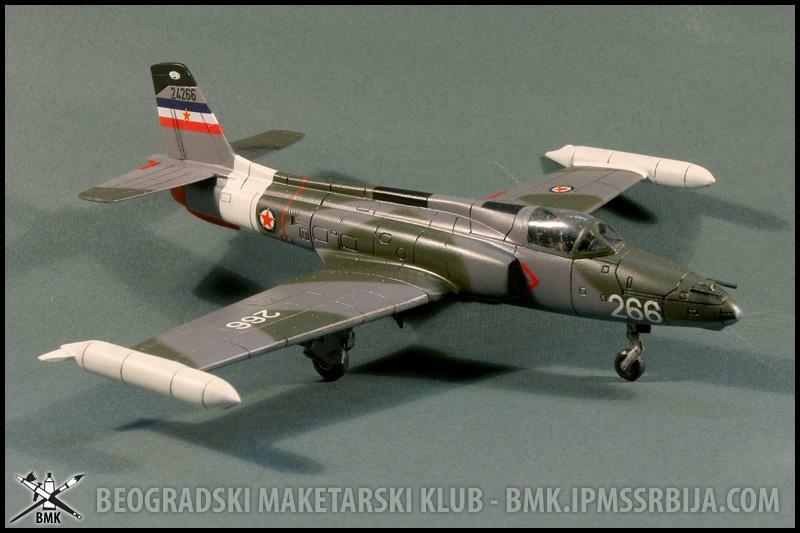 I’m another who has never heard of the aircraft or the kit maker. Yours should help them sell more. I like your paint job….the finished product looks pretty good from here! This is nice I really like this one. Good looking build of an unusual prototype, thanks for this, Igor. Very interesting! This is a new aircraft to me. Looks great!